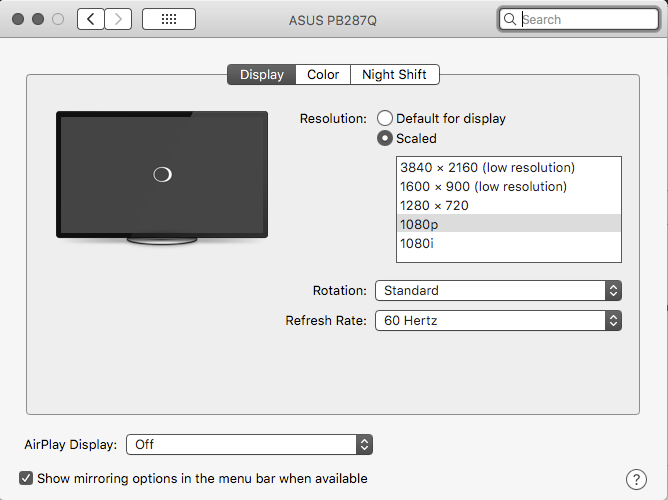 I have an external ASUS PB287Q monitor connected to my MacBook Pro via a display port adaptor. I am using 1080p because when using Default for display the display is such a high resolution that reading text is hard. The resolution set by 1080p is perfect, but extremely blurry. Now, when the laptop is put into clamshell mode (lid closed), it is blurry. But if I open the lid, the resolution stays the same, but the clarity is crystal clear, no blur. The trade off being that with the laptop lid open, the performance plummets, with severe input lag. Is it possible to have the crystal clear clarity with the laptop lid close? 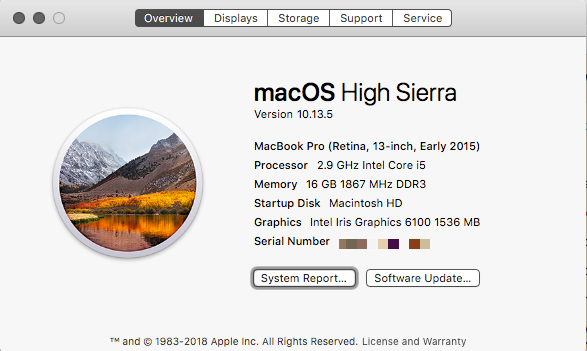 Browse other questions tagged macbook display displayport resolution . How can I force focus or fix a blurry and 'washed out' Apple Thunderbolt Display camera?